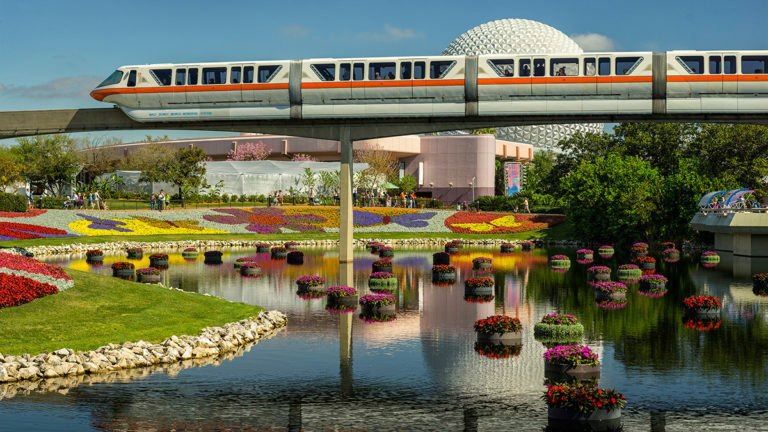 On one of those off-days from the parks or a rainy evening around Disney World, Florida, think about trying a Disney monorail ride….with a twist. The Disney World Monorail Pub Crawl is becoming a fun and different thing to do for adults visiting the Land of Mickey. On a recent stay at Disney’s Saratoga Resort and Spa, my wife and I tried the monorail pub crawl for ourselves. And though we did a little research and set up a plan for the day, I’d like to share our itinerary and experience with you. 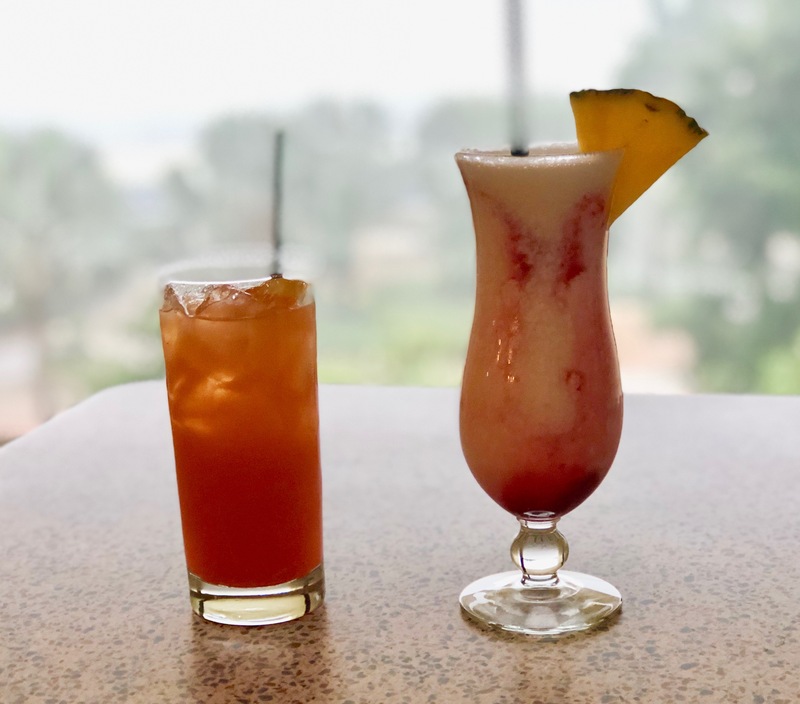 The Disney World Monorail Pub Crawl consists of stops at the three Disney resorts along the monorail route; the Polynesian, the Grand Floridian, and the Contemporary resorts. We started our day by taking a Disney bus from Disney Springs to the Polynesian Resort for a little late afternoon lunch at Capt. Cook’s poolside restaurant. The counter-service restaurant had a nice selection, and great atmosphere around one of the Polynesian’s pools. After lunch we boarded the monorail at the Polynesian and headed for the Grand Floridian Resort for our first pub crawl stop. 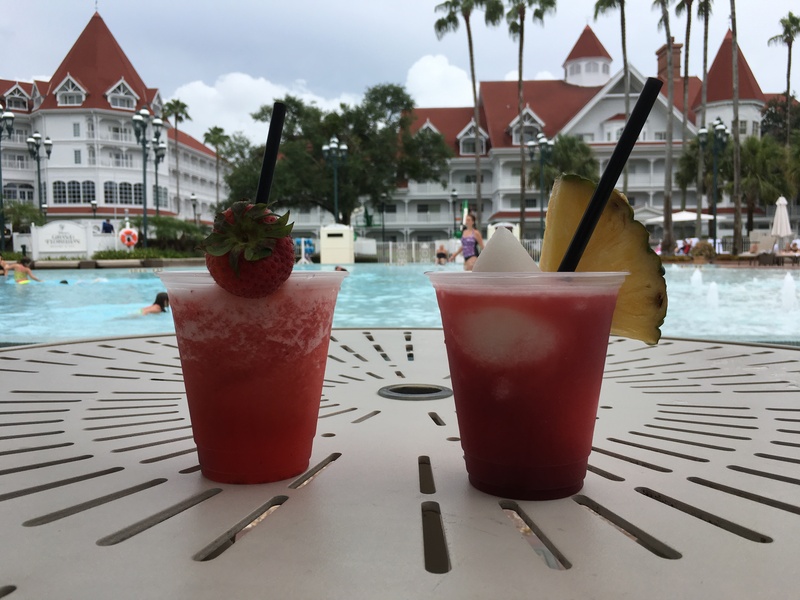 Though we had heard real good things about Mizner’s at the Grand Floridian, they were closed for the afternoon so Rachel and I headed for the Courtyard Bar. Set along side one of the Grand Floridian’s many pools, this location was ideal to take in our first cocktail and poolside sunshine. While my Strawberry Margarita was good and somewhat typical, Rach’s Pina Colava was sensational. This fruity spin on the Pina Colada, included red raspberry puree for a fantastic surprise taste! 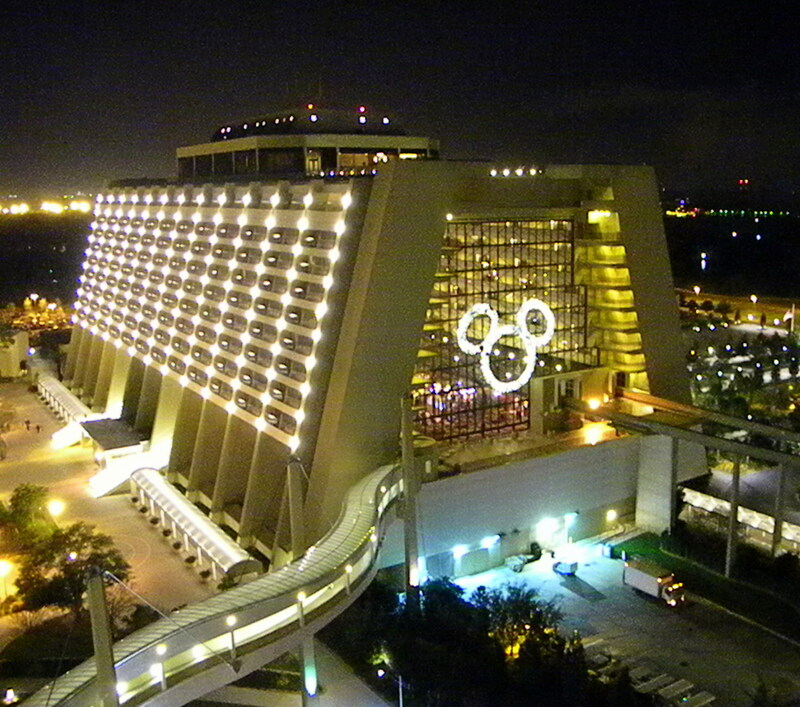 Our next stop along the Monorail Pub Crawl was Disney’s Contemporary Resort. It was at the Outer Rim Bar that we found a breathtaking view of grounds from high above, and I found myself trying their version of a Pina Colava. And it didn’t disappoint. Rachel enjoyed their Bahama Mama concoction. Make it two for two! Located just off to the side of the hustle and bustle of the Contemporary’s main floor (second floor), the Outer Rim was air conditioned, had several large screen TVs, and played good music while we were there. The final stop on our Disney World Monorail Pub Crawl was back at the Polynesian Resort. 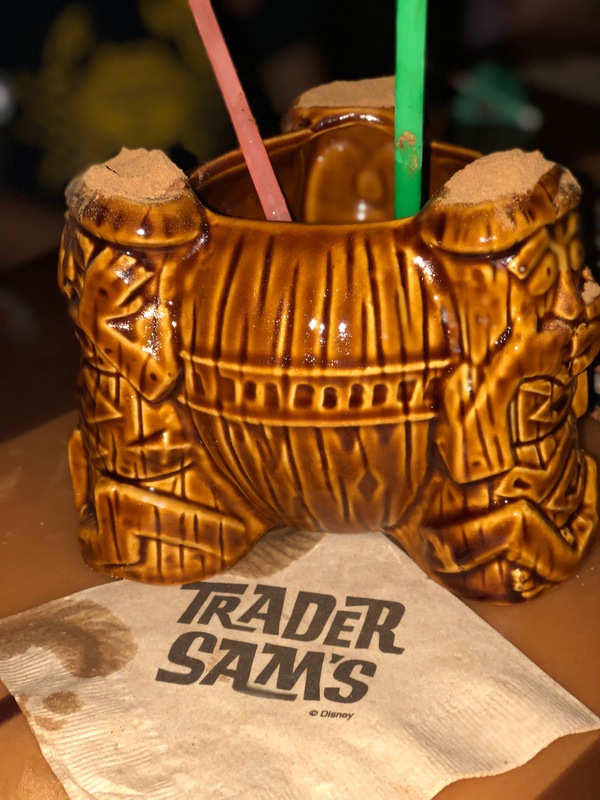 We had heard great things about Trader Sam’s Grog Grotto, located on the bottom floor of the resort’s main building. As we walked through a windowless door, we entered a South Seas island environment, complete with active volcanos, shrunken heads, and a highly active wait staff. As patrons ordered their beverages, each selection would trigger the waiters or the bar itself to break into chants, rainstorms, or volcanic eruptions. Our choice was a drink called the “Uh-oa”, a drink made for two to share consisting of a variety of rums, fruit juices, and cinnamon; all of which is set on fire prior to drinking. What, you expected nothing less? And though the drink is delicious and highly recommended, the “show” that goes on inside this interactive tiki bar is well worth the visit. Though our monorail pub crawl was over, we took the monorail one last time back to the Contemporary Resort, and visited the Disney Vacation Club’s Bay Lake Resort, located next door to the Contemporary. 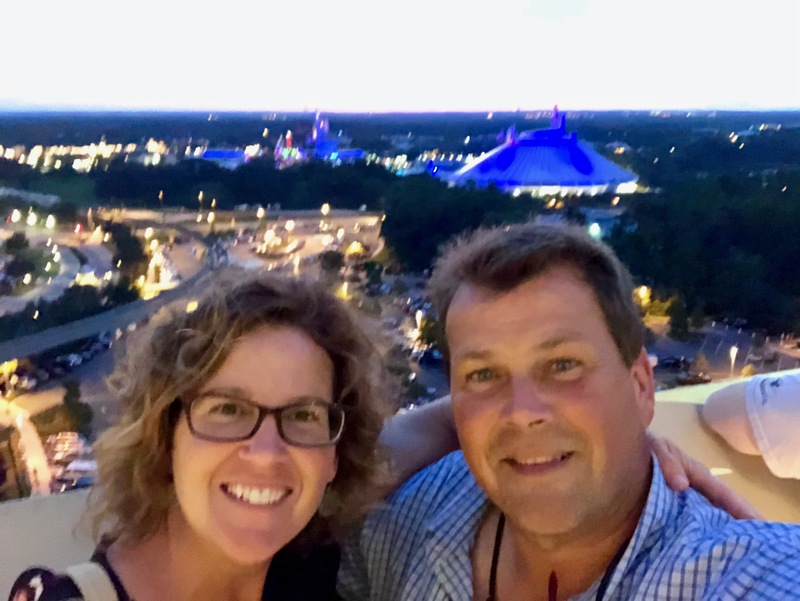 Once there we showed our DVC membership card and were escorted to the Top of the World Lounge for a premiere viewing experience of the Magic Kingdom’s “Happily Ever After” fireworks show from sixteen floors above. It turned out to be the perfect way to end our memorable day. Whether traveling as a couple or with a group of family or friends, the Monorail Pub Crawl is a fun diversion from your typical Minnie-Mickey experience, and a great way to take in the many offerings of some of Disney World’s highly acclaimed resorts. Most visitors to Walt Disney World feel that they must take in the four theme parks when vacationing in Central Florida’s wonderland. And for those visiting for the first time, a Park Hopper to the parks is a must. However, for those that visit Walt Disney World on an annual basis, and are looking for a change of pace on things to do, WDW is packed with sights and sounds located outside the four theme parks. 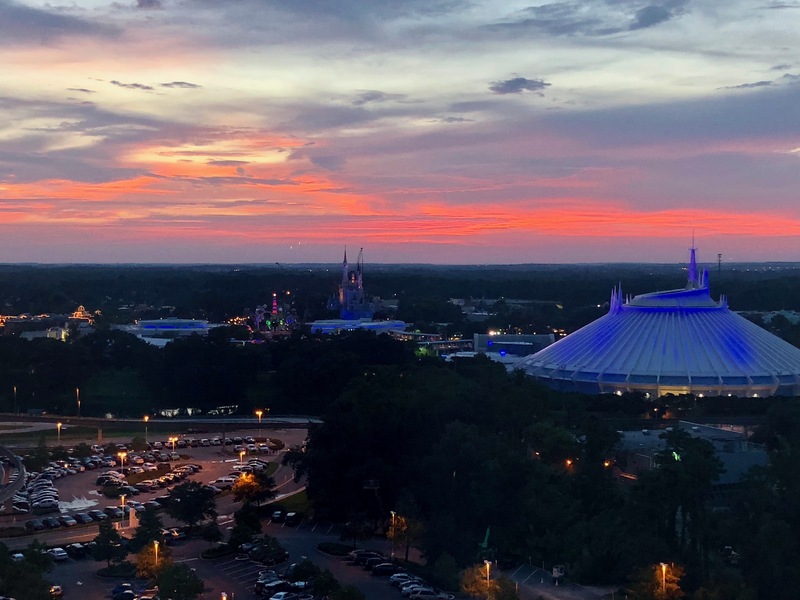 To help you make your next visit a little more organized, here are ten things that you must do when visiting the Walt Disney World resort area, without ever stepping a foot inside any of the parks. 1- Dining at Downtown Disney. 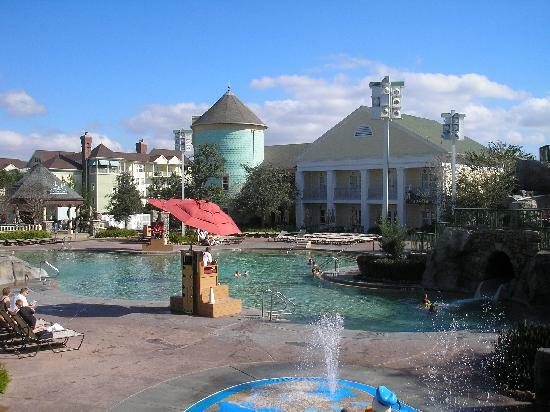 Divided into three sections, this area of Disney World has fun for every member of the family. The Marketplace, Pleasure Island, and West End are packed with dining, entertainment, and shopping galore. Start your day with lunch at the Earl of Sandwich. This gourmet sandwich and salad shop has perhaps the best meal you can get for the money. At around $6.00 lunch at Disney doesn’t get much better. From the Earl Club to the Hawaiian BBQ, their sandwiches are made to order on fantastic artisan breads. Eat in or enjoy the Florida warmth outside, the Earl of Sandwich will turn out to be a place that you’ll come back to again and again. There’s also the Ghirardelli Ice Cream & Chocolate Shop. Offering up tasty chocolate samples, gift bags of their confections, and out-of-this-world ice cream sundaes, the Ghirardelli shop has something special about it (without the ears). C’mon, live a little! Let yourself splurge on a Ghirardelli hot fudge sundae that will make all other sundaes seem like just another bowl of ice cream. Perhaps my favorite place at Downtown Disney is Paradiso 37. This trendy restaurant/bar serves up some fantastic North and South American fare in a very relaxed atmosphere. Whether you decide to dine in or along DD’s waterfront, you will undoubtedly experience Paradiso 37′s cool vibe. One of the favorite beverages of many patrons (including me) is something the bartenders like to call a “Mangled Margarita”. Now I don’t know exactly what is contained in this magical drink, but after a couple you will be ready to take on Peter Pan, Captain Hook, and Tinkerbell all in one swoop. From its 24-theater AMC movieplex and Gloria Estefan’s Cuban-flare restaurant, Bongo’s, to Planet Hollywood and The World of Disney megastore, Downtown Disney could easily be a daily stop during your Disney World vacation. 2- The Boardwalk. 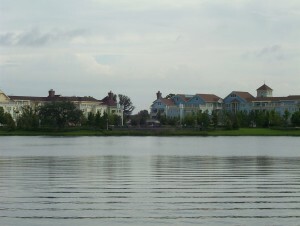 Located in Disney’s EPCOT resort area, the Boardwalk Resort and Spa is not only a wonderful resort, but is also home to an authentic Atlantic Ocean seaside boardwalk. Complete with games of chance, sidewalk entertainers, and the sweet smell of cotton candy and roasted peanuts, Disney’s Boardwalk is a step back in time to the early 1900s. Nightlife at the Boardwalk is plentiful with a video dance club at the Atlantic Dancehall, dueling pianos at Jellyroll’s, and non-stop sports action at the ESPN Club. Dining options at the Boardwalk include Cat Cora’s Kouzzina, The Big River Grille, and The Flying Fish seafood restaurant. Located between the EPCOT and Hollywood Studios theme parks, Disney’s Boardwalk is full of fun and food. 3- Golfing at Disney. There are four 18-hole championship caliber golf courses woven throughout the Walt Disney World grounds. The Magnolia course is located near the Polynesian Resort and is appropriately named for the fragrant magnolia trees that are found throughout the 7,000 yard course. The Osprey Ridge track is located near the Fort Wilderness Resort and is designed by the famous architect Tom Fazio, and measures about 6,600 yards long. Disney’s Palm Golf Course has just under one-hundred bunkers on its 6,500 yard lay out located near the Polynesian Resort. The fourth championship course is the Lake Buena Vista Golf Course. Located near the Downtown Disney area, this course measures about 6,700 yards. All four of these championship courses include a GPS enabled golf cart in the green fee. A fifth course, Oak Trail Golf Course, can be found at WDW near the Grand Floridian Resort and Spa. This is a 9-hole walking course is just under 3,000 yards and a par 36. Golf club rental is available at all five courses. If playing isn’t what you’re looking for, guests of the Disney World resorts can take a lesson or two from award-winning PGA instructors. 4- LaNouba by Cirque de Soleil. 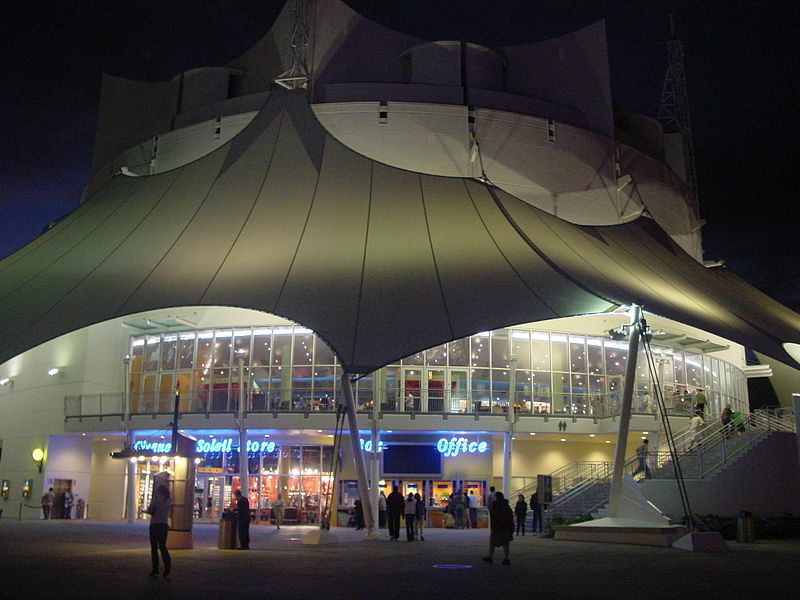 This acrobatic, theatrical experience has been wowing crowds for over a decade at Downtown Disney’s West End. A mixture of strength and grace, LaNouba has performers from all over the world creating mesmerizing stunts and dance from hanging wires and trampolines. Nearly sold to capacity every night of the year, reservations are advised before you make your trip to Walt Disney World. 5- Characters in Flight. 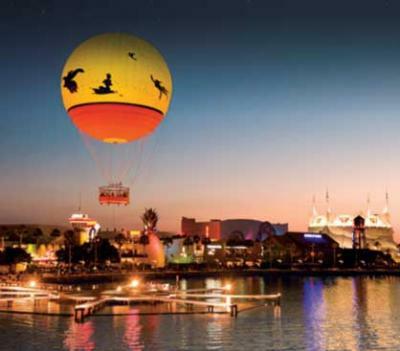 This giant tethered balloon rises nearly 400-feet above the Downtown Disney area, giving visitors a panoramic view of the surroundings. Priced at around $20 for adults and $12 for kids, this 10-minute balloon ride is sure to create Disney memories. 6- Miniature Golf. 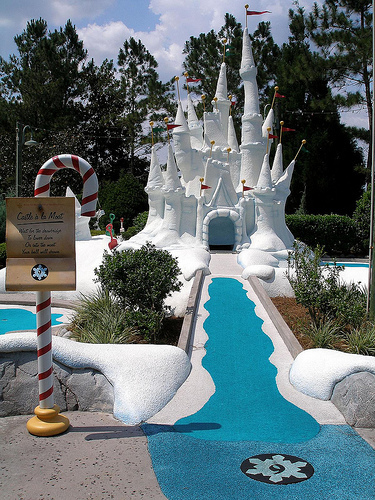 There are four unique and fun miniature golf courses at the Walt Disney Resort. Two are found by the Swan and Dolphin resorts. 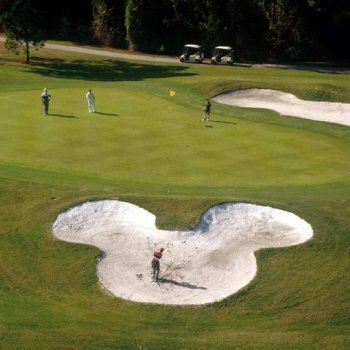 Fantasia Gardens has one course that takes players through the Disney classic “Fantasia” as they play, while the second is a fairway style course, resembling a traditional golf course. Two other courses are found just outside the Blizzard Beach water park area. Known as Summerland, these two courses celebrate two favorite times of year. The Winter course takes players through a winter wonderland with Santa and his elves, while the Summer course winds players through the sand and surf of summer fun. 7- Splitsville. 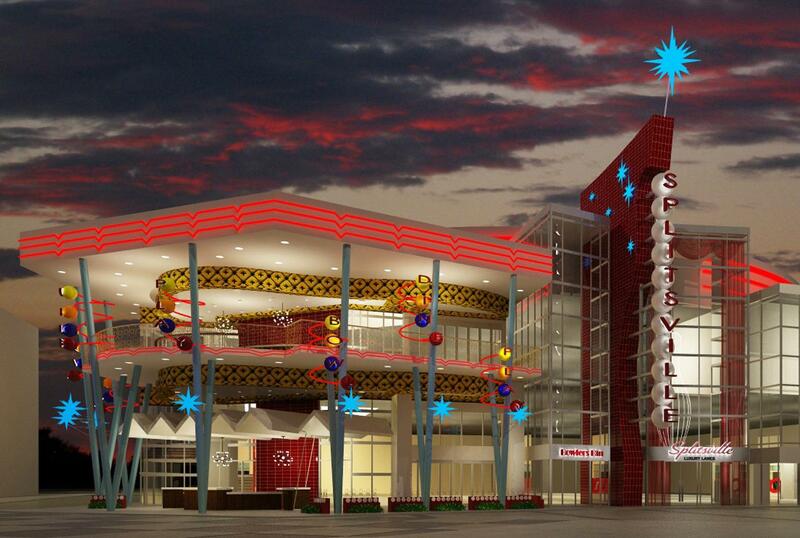 Brand new to the Downtown Disney area, this rock n’ roll style bowling facility isn’t your grandad’s bowling alley. 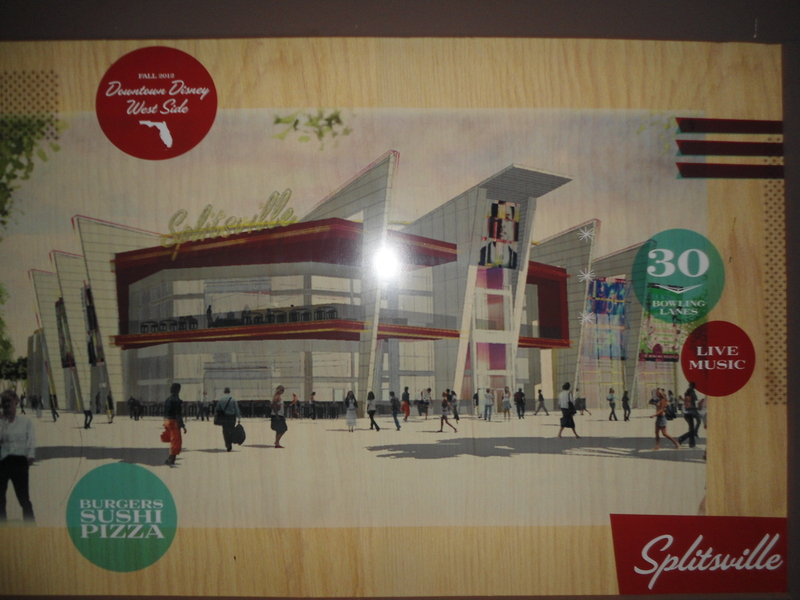 Located in the former Virgin Megastore, Splitsville is scheduled to open in September of 2012. It will feature 30 bowling alleys, a dozen billiard tables, a restaurant, and sports screens throughout. During late-night hours, Splitsville will have a minimum age of 21, so couples and friends can socialize in a kid-free environment. 8- Dining at WDW resorts. When it comes to world-class dining and menu variety, the restaurants found throughout the Walt Disney resorts are second to none. Some of my favorite places are The Turf Club found at the Saratoga Resort and Spa, The California Grill at the top of the Contemporary Resort, and Olivia’s at the Old Key West resort. The Turf Club serves lunches and dinners in relaxed atmosphere reminiscent of sitting on the veranda of the Saratoga horse track in Upstate NY. The California Grill offers guests spectacular views from its location atop the Contemporary Resort, and a menu ranging from yellowfin tuna to bison to organic chicken. Olivia’s is one of my favorite WDW restaurants because of its menu and laid back atmosphere. Throughout the restaurant are pictures and artifacts of Key West, Florida. With regards to the menu, be sure to try their Chicken Caesar Salad. Serving breakfast, lunch, and dinner will likely be a pleasant surprise. Of course every resort at WDW has at least one full-service restaurant, and all meet, or surpass the quality that you would expect from Disney. 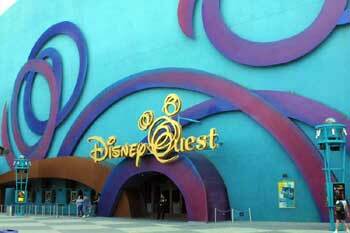 9- DisneyQuest. Located at Downtown Disney’s West End, DisneyQuest is five floors of futuristic, interactive games. Whether you want to design, then ride, your own roller coaster with Cyber Space Mountain or drive your own out-of-this-world car with Buzz Lightyear’s Astroblasters, these and other fun interactive experiences can be found at DisneyQuest. Virtual Jungle Cruise, Pirates of the Carribean -Battle for Gold, and Mighty Ducks Pinball Slam are just a few other attractions that can be played at DQ. 10- Relax at the Disney World Resorts. Whenever I visit Disney I try to remind myself that I am ‘on vacation’. With so much to do at WDW, it’s easy to forget that Disney World is packed with some of the finest resorts and spas to be found anywhere. 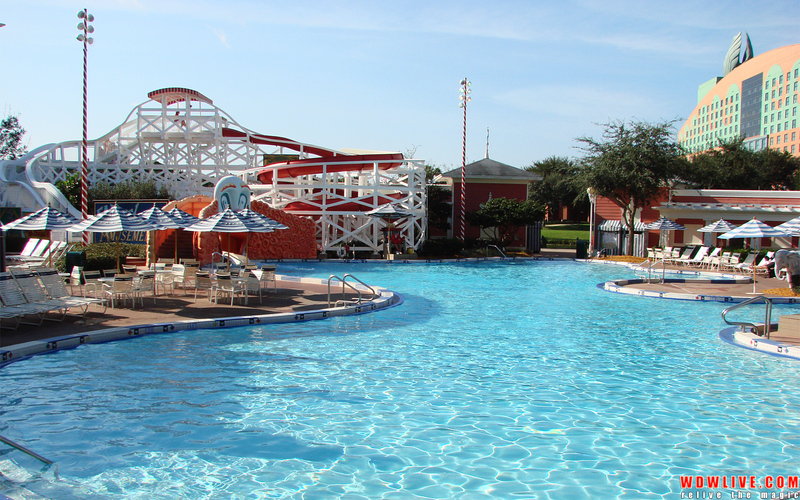 All resorts at Disney have multiple pools, each with one large trademark swimming area, and usually several smaller pools, for a quieter, more relaxed, day of sun and fun. Each resort wraps itself around a theme, and true to Disney style, it is always done to near-exact detail. The Saratoga Resort and Spa celebrates the historic charm of Saratoga, NY, The Wilderness Lodge places its guests inside an upscale log cabin, complete with a working geyser, and The Grand Floridian is simply elegance personified. Disney’s Animal Kingdom Lodge offers guests a unique experience by having animals found on the savannah of Africa grazing and wandering outside their balconies, while The Polynesian Resort and Spa transports its guests to the feeling of the far east islands. So next time you’re planning a trip to Central Florida’s most famous tenant, don’t feel you have to get wrapped up in the hustle and bustle of the theme parks of Walt Disney World. True, the theme parks of WDW are like no other, and are world-famous, but the land of Mickey contains so much more. Besides the ten ideas mentioned, there are so many more things to do, like behind-the-scenes tours, parasailing, boat rentals, and bike riding. Walt Disney World is truly “The Happiest Place on Earth”, and has so many things to do that every time you visit you’ll find a surprise waiting for you everyday. Though Disneyworld in Florida still consists of its staple attractions like Cinderella’s Castle, the Indiana Jones stunt show, and It’s a Small World, big changes are heading to The Happiest Place on Earth in 2012. From a complete new world at the Magic Kingdom to a widespread overhaul of Downtown Disney, the coming year is bound to bring pleasant surprises. 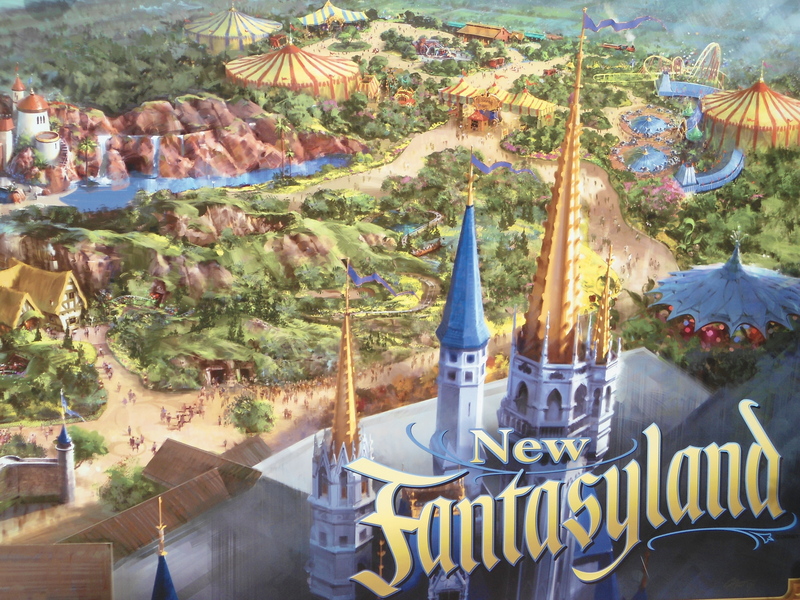 At the Magic Kingdom, look for the Fall of 2012 to debut the new Fantasyland. Complete with the Beast’s castle, Ariel’s grotto, and a three-ring circus, the new attractions of Fantasyland will be found at the back of the park, near the existing carousel and teacups. New restaurants and quick service food stops will dot the landscape of Fantasyland, including one sit-down restaurant inside the Beast’s castle. Also in the new world look for a water attraction that wraps itself around The Little Mermaid theme. 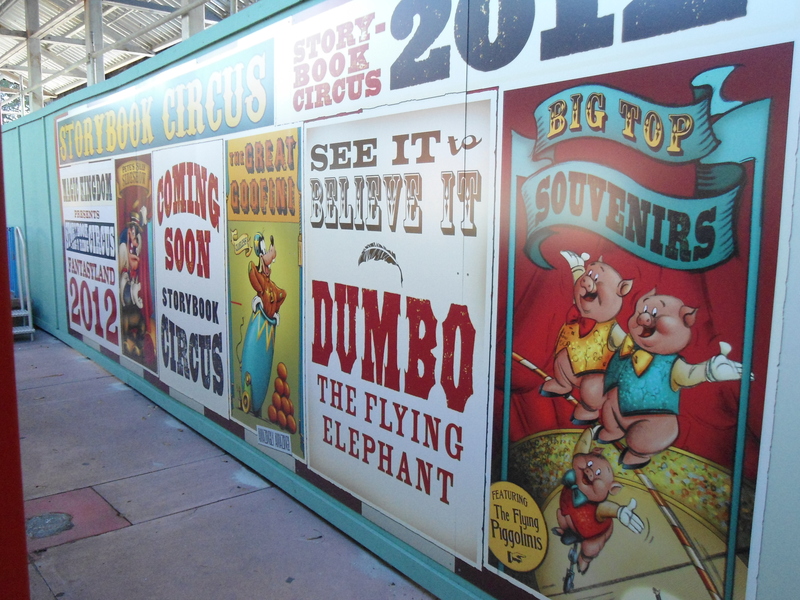 But perhaps the biggest attraction coming to the new Fantasyland is the 3-ring circus called Storybook Circus. However, unlike most circuses, this one will be permanent. Dumbo’s flying elephants, Goofy’s cannonballs, and character meet & greets will be just a few of the colorful, larger-than-life additions to the Magic Kingdom. Meanwhile, over at Disney’s EPCOT look for the newly refurbished Universe of Energy building to feature an updated attraction with Ellen DeGeneres. This, along with the recently re-introduced ‘Captain EO’ 4D show, featuring Michael Jackson, will give EPCOT a positive shot in the arm. Perhaps 2012’s largest changes will be seen at Downtown Disney. All three sections of DD are currently going through changes. At the Marketplace LittleMissMatched for girls has already opened, as has the new Pollo Campero quick service restaurant. Surprisingly, Pollo Campero sits in the same square footage where the longtime American icon McDonalds once did business. In the Pleasure Island section of Downtown Disney changes can already be seen. Gone are the dance clubs of the 90’s, and instead you’ll now find family-friendly restaurants with an around-the-world flair. Street performers play for visitors of the area, and new shops like Apricot Lane and Sammy Duval’s Curl draw shoppers in. Mixed into the new Pleasure Island is the new Irish restaurant Ragland Road and Paradiso 37, which serves up a cuisine from Central and South America. In the West End section of Downtown Disney the storefronts are changing faster than you can say “Bippity-Boppity-Boo”. No longer exists the classic Magnetron store. Where am I supposed to buy my gift magnets now? Also gone is the Masters of Magic store. I always felt like most of us stopped in the store just to see a free magic show, and never had any intentions of buying a $29.95 magic kit. In their places look to see a Sunglass Icon store and clothing chain Wet Seal’s – Blink store to open up in early 2012. The most exciting news to me is the creation of the Downtown Disney attraction called Splitsville; a 31-lane bowling alley that will double as a restaurant, bar, and dance club. As a sign says outside the current construction zone- “This isn’t your grandfather’s bowling alley”. Located in the old Virgin record store building, things are already underway for a Fall 2012 opening. In a recent visit to Disneyworld, I asked a business owner about things happening at Downtown Disney. In our conversation she told me that the DD that we know today will look like something totally different by the year 2014. And if the fast-moving changes of 2011 and aggressive plans for 2012 are any indication, the entire Disneyworld experience that we grew up with will be something completely new in the very near future. Have you ever been to Saratoga in the winter? And while there, have you enjoyed 80 degree temperatures while swimming or walking around in shorts and sandals? Well no, not if you’re talking about Saratoga, NY. However, if you’ve been to the Disney Vacation Club’s Saratoga Resort & Spa at Walt Disney World, Florida you know what I’m talking about. 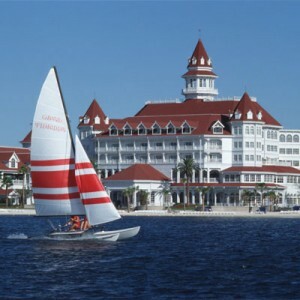 I love being a member of the Disney Vacation Club (http://dvc.disney.go.com/), with the Saratoga Resort & Spa as my home resort. Situated within a five-minute walk of Downtown Disney, this Victorian-style resort sprawls out over what used to be the Disney Institute, and meanders through the championship 18-hole Lake Buena Vista Golf Club. Complete with a 5-star spa and fitness center, four pools, two restaurants, and a general store, the Saratoga Resort & Spa takes visitors back to the bygone days of old Saratoga. With its studio, one-, two-, and three-bedroom villas, the Saratoga Resort & Spa engulfs its guests in old-world elegance and charm, while pampering them all the modern amenities one expects when on vacation. Two years ago my family and I stayed in a two-bedroom villa for a week. During our stay we started each day with breakfast in our full-sized kitchen, complete with stainless steel appliances, cooking utensils, plates, silverware, and granite slab countertops. We cooked our breakfast with the food we pre-ordered prior to arriving at the Saratoga Resort & Spa. The eggs, muffins, orange juice, etc. were fairly priced and brand-name quality. The beauty was that our refrigerator and cupboards were stocked with what we had ordered when we arrived. This meant one less hassle to worry about, and more time to enjoy at the parks. The bedrooms came with a king-size bed in the master and two queen-size beds in the other, along with two full-size bathrooms. The master bath also had a Jacuzzi tub. Our greatroom area was spacious enough to comfortably have dining room table in one section, as well as a sofa and a couple of chairs in the remaining space. Off the greatroom was a large balcony with a couple chairs and a table that overlooked the well-manicured grounds of the Saratoga Resort & Spa. And just recently my wife and I enjoyed five days at The Saratoga in a deluxe studio villa. Though it didn’t have a complete kitchen, it did have a microwave and refrigerator in the small kitchenette area. But for just the two of us, that worked out just fine. Getting around the Disney World resort is always easy. From the time you land at the Orlando International airport until the day you depart to head home, Disney transportation is seemingly at your disposal. From the airport (MCO) we boarded the Disney Express that took us directly to the Saratoga Resort & Spa. Now check this out, by signing up for the Disney Express (free to all Disney resort guests), not only did I get free transportation to and from the airport, but they also got my bags from the airline and delivered them to my room! Let’s see, I don’t have to rent a car, I don’t have to wait for my bags, and I don’t have to shop for groceries… Yep, I’m on vacation! Once settled in, the Disney transportation system would basically take me to wherever I wanted to go. My family and I simply walked our of our room to one of the many bus stops, and waited no more than 5-10 minutes for the bus we needed. The air conditioned buses are always clean and comfortable. Only at night are they crowded, as park-goers scramble back to their rooms after a long day at the various Disney parks. The Saratoga Resort & Spa has one large pool in the common area, complete with water slide and pool-side bar. There are several other pools situated throughout the resort that may be closer to your actual room. Many also come with full-size outdoor hottubs too. The larger pool area is also home to the On The Rocks pool bar, to help quench any thirst you may have. Dining at the Saratoga Resort & Spa is fantastic. The Artist’s Palette and Turf Club Bar & Grill offer guests a wide variety of lunch and dinner options. The Turf Club has one of the most unique presentations of Chicken Caesar salad that you’ll ever see. Of course, only being minutes from the Downtown Disney area, offers up even more dining options. I highly recommend the newly opened Paradiso 37, and their mangled margaritas, while The Earl of Sandwich is always good and perhaps the best value found anywhere at Disney. Guests to the Saratoga Resort & Spa, as well as all other Disney resorts, are always able to enjoy Extra Magic Hours at the four Disney World parks. Extra Magic Hours are times at selected parks that resort guests can ride the rides and visit the attractions between one and three hours before or after the parks are available to the general public. And it is worth it? Imagine no lines for the newly refurbished Space Mountain, and you can ride it three times in a row at 7AM! Or how about no lines for Expedition Everest at the Animal Kingdom, and ride the spectacular roller coaster to your heart’s content at midnight! It’s all possible with Disney’s Extra Magic Hours. Guests to the Saratoga Resort & Spa will experience the luxuries of a world-class spa, arcade, fitness room, championship golf course, and general store. Add these bonuses to its serene setting, convenient location to Downtown Disney, and the A+ service to be expected from Disney, and you truly do have the ingredients for a magical vacation. For more information on the Saratoga Resort & Spa or the Disney Vacation Club, contact Maribella Quinones at 866-240-3817. Imagine strolling along Main Street USA one day, followed the next day by a Kilimanjaro safari. On your third day you could be rocketing into space on the Space Shuttle in the morning, then soaring through the Napa Valley on a hang glider at sunset. To top everything off, picture yourself taking a 4-day cruise to a private Caribbean island. And doing all of this with Mickey Mouse and Donald Duck. Sounds like a wild dream, or the aftermath of one of your college weekends? Nope; it’s not. It’s a possible week using the power of the Disney Vacation Club. The Disney Vacation Club offers its members the luxury of guaranteed, quality vacations each year, at the finest resorts on the planet. Quite often, depending on membership, vacationers can enjoy vacations and weekend getaways many times throughout a year. The DVC allows its members to visit the Disney resorts or choose from nearly six hundred other locations around the world when planning their next vacation. The beauty of the DVC is that the one-time membership is good for fifty years, and can be passed on in a will, or even sold at a later date. When I became a Vacation Club member in 2004 I selected the 200 points a year membership. My membership coordinator, Maribella Quinones, guided me through the process with clear explanations and sample planning years. And though memberships start at 150 points per year, to fully take advantage of the membership I moved up to the 200 point level. Of course greater memberships are available, but I was comfortable where I was. My tour of the Saratoga Resort & Spa at Disney World grounds and facilities was breath-taking. Rooms range from studios to three-bedroom villas. The three-bedroom is actually a two-story home! Many of the rooms at Saratoga overlook Downtown Disney or the Lake Buena Vista championship golf course. Just a five minute walk to Downtown Disney, everything else that Disney World has to offer is within minutes of the Saratoga Resort using their incomparable transit system. However, while at the Saratoga you may never want to leave their grounds. With beautiful pools and hot tubs, a state-of-the-art fitness center, world-class spa, general store, and two restaurants everything that would make a memorable vacation is at your fingertips. Since joining DVC has added the new Animal Kingdom Villas and Bay Lake Villas at the Contemporary as Disney’s latest Vacation Club resorts. An example of how I could use my membership might go something like this. In January I could choose a studio room at the Disney Wilderness Villas with my wife for a 4-day, 3-night weekend stay for around 50 points. Then in July I could take the family for a 7-day vacation at the Saratoga Resort for around 150 points. Having used up my allotment for the year, I could then “borrow” from next year’s points and enjoy a 3-night weekend getaway in September at the Disney Boardwalk for around 50 points. The following year I could plan to take a week-long cruise to the Bahamas on the Disney Cruise Line by using my points and borrowing from the next year’s allotment if necessary. Keep in mind that additional points can always be purchased and added to a membership. If a cruise isn’t for you, how about five days in the Bahamas, a weekend at Boston Harbor, or wine-tasting in Tuscany, Italy? You name it, the DVC can likely make your dreams come true….it’s a ‘Disney thing’. From California to Hilton Head, Disney World to Vero Beach, the Disney Vacation Club has the map covered with incredible places to stay. One of the nicest aspects of a Disney vacation is that when I arrive at Orlando International airport I am greeted by Disney Express employees who load me on a shuttle and take me directly to my resort. My baggage is collected for me and delivered to my room a couple hours later. To me, that’s a vacation! No baggage claims, no rental car, …no hassles. Once I’m checked in at the Saratoga Resort & Spa I can play 18-holes of golf at one of Disney’s five premiere golf courses, take in Happy Hour at the pool, enjoy a magnificent dining experience, and enjoy the nightlife of Pleasure Island, all within five minutes of my room! The Disney Vacation Club may seem similar to time-shares that you have seen, but it is truly so much more. It is an opportunity to vacation throughout the world, while at the same time knowing that Disney quality is a guarantee everywhere you go. Known as ‘Disney’s Best Kept Secret’, the DVC is quickly becoming Disney’s ‘best vacation value’. For more information regarding the Disney Vacation Club, or to order your own informational DVD, call Maribella Quinones at 1-800-341-4074 and mention this AS I SEE IT column.